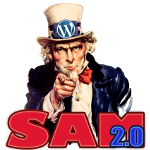 Home | Wordpress | Wordpress Plugins | SAM 2.0. Whats new? 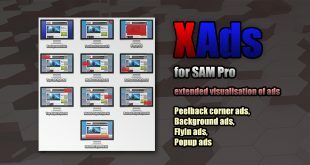 New version of SAM is released. What was done? First of all, there was a significant amount of fixed bugs. Thanks to everyone who helped in this difficult matter reporting bugs and direct instructions to discharge these bugs. Administrative interface is improved. Many have complained about slow loading of editors pages, especially of Ads Editor page. By optimizing and minification javascrips managed to speed up loading of pages at times. In SAM version 2.0 is added feature of compatibility with caching plugins. With all the caching plugins.With ALL, really. 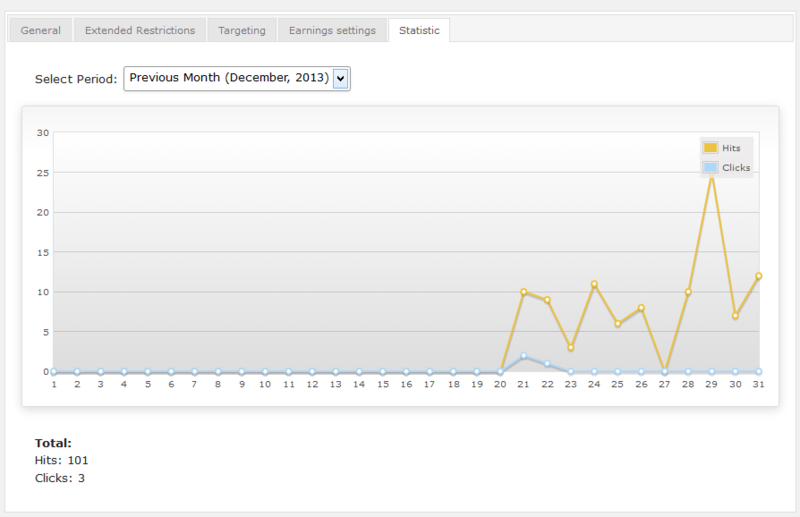 Now, there are more statistical data and it consists not only of the total impressions and clicks. 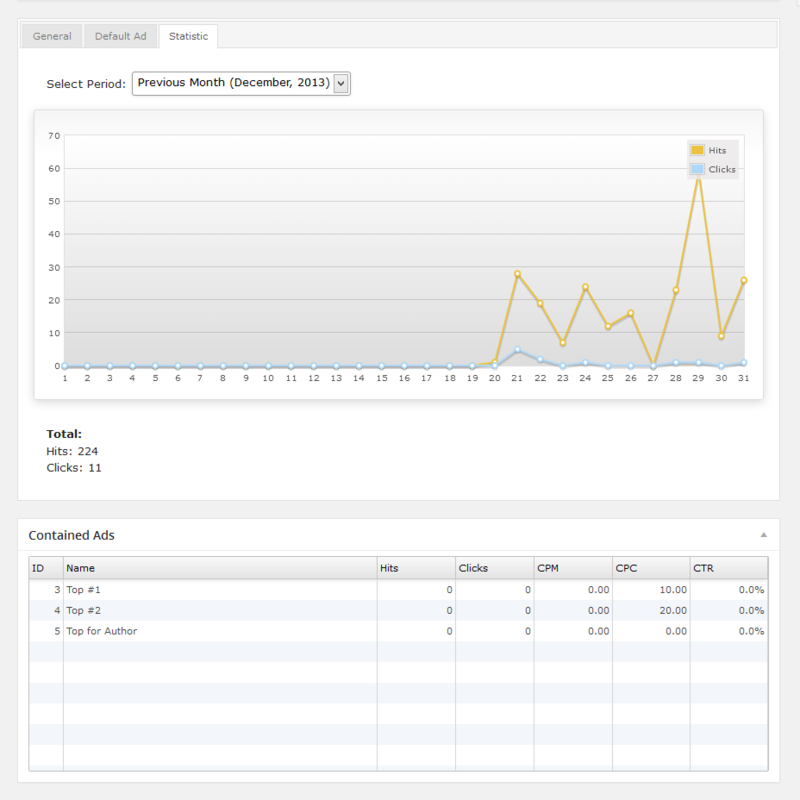 Ads events tracking system is fully updated. 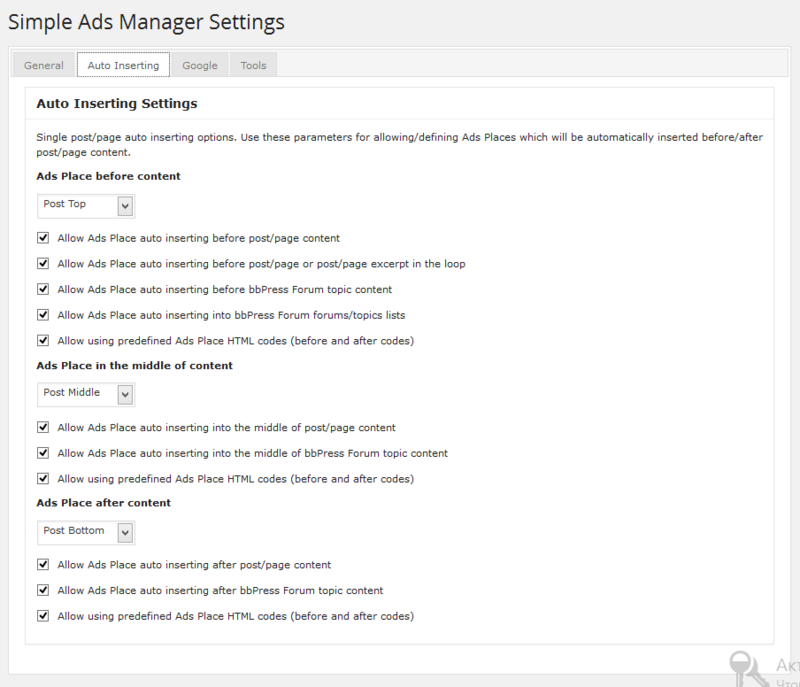 Now clicks are tracked in all type of codes of ads except iframe and SWF-banners for technical reasons. 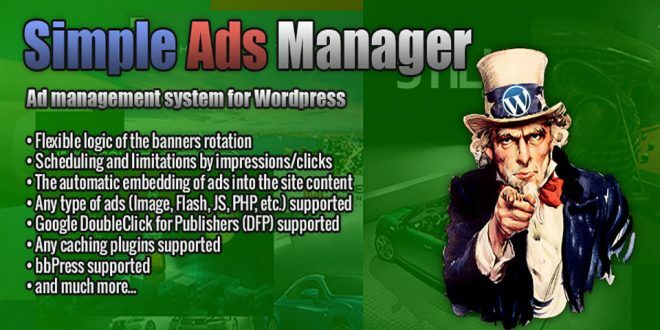 According to numerous requests from users the system of mailing statistical data to advertisers is added as plugin feature. This system is directly related to the statistical data of activity on advertisements and it could not exist without the made changes in statistical system. If you have advertisers, try to update the plugin at the beginning of month. This will allow you to send to advertisers the most comprehensive monthly report, as due to changes in the statistics, it is necessary at least for a month accumulate statistics. 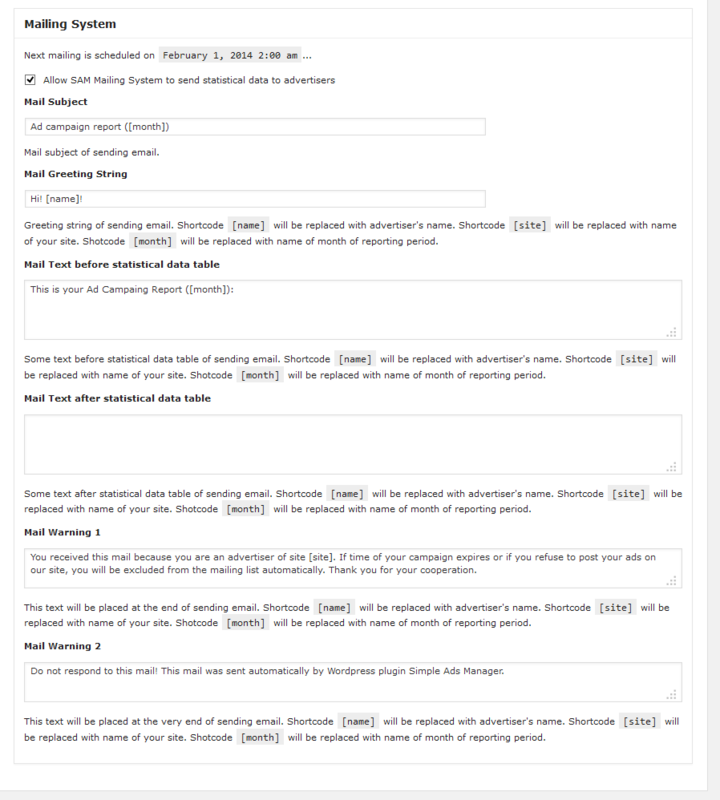 Now the plugin is fully compatible with the forum plugin bbPress (injecting advertisements into post/page content). Just adjust settings for bbPress auto injection. I hope that you will enjoy by other new features of plugin such as “Restrictions on custom taxonomies”, loading banners using WordPress media library and other innovations. Previous StudioPress Child Themes. Hacks and Tricks. Hi Minimus, I have problem with SAM because it creates lot of error logs and my sql server started going down. Any solution for this problem?